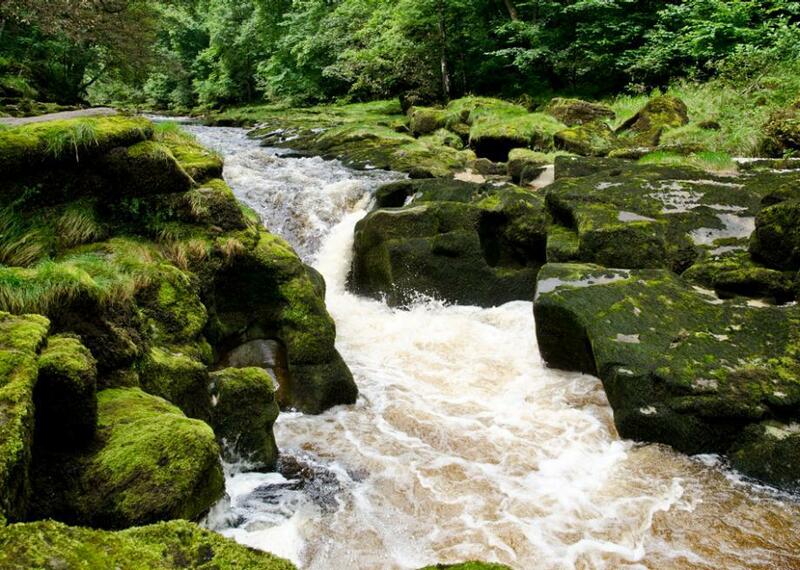 England's Bolton Strid is said to have swallowed everyone who ever set foot in it. Much more dangerous than meets the eye. Around the area of the Strid, the River Wharf runs between two banks of mossy boulders, looking more like a stream or a creek than a rushing river, but travel just upstream of the spot, and you will see that the waterway expands into a proper river, some 30-feet across with frothing currents and waves. The reason the Strid is so thin is not because they’ve ended up running off course of the river, but because the waters simply change orientation. Instead of flowing in a wide horizontal course, the waters begin to flow vertically in the tight shaft created by the natural rock. This change in orientation has created a deceptively deep and powerful current, even carving out some area beneath the shore rocks to create a void where debris (and people) in the water can be trapped. Indeed, while there do not seem to be any hard numbers about exactly how many people have perished in the Strid, the local legend is that no one who has dared enter the waters has ever made it out alive. The caves and naturally carved traps laying just under the surface of the photo-ready river have been claiming lives for centuries.